Starwood Points are one of the most valuable types of points due to their flexibility. The majority of my SPG points are earned through credit card spend, which is only accessible through the Starwood American Express. You have the option to transfer at a 2:1 ratio with American Express but that isn’t a very good ratio. The personal version of the card requires $500 in spending within the first three months to unlock the bonus, while the business version requires $1000 in spending. This is the highest historic publicly available bonus (other than the 21,000 points signup bonus with refer-a-friend links), and worth applying for if you don’t currently have the card. Unfortunately, the annual fee is not waived, but I haven’t seen an offer with the first year annual fee waiver in at least 2.5 years. If you are looking for American Express cards with annual fee waived, the Gold Rewards Card does offer 25,000 points as a signup bonus (review here), while the Business Gold Rewards Card offers 40,000 points as a signup bonus (review here). Both cards have waived first year annual fee offers. 20,000 SPG points will get you 25,000 miles in many airline loyalty programs including Aeroplan, American AAdvantage, and Singapore Krisflyer. You can see the list of all SPG airline transfer partners. SPG has the most airline partners of any transferrable currency, which is partly why it is very flexible. This signup bonus will also get you one or more free nights at any Starwood hotel up to Category 6. Category 6 will get you some pretty nice hotels such as the SLS Beverly Hills, Westin Paris, or even the St. Regis Mauritius. You can also extend your SPG points with a Cash and Points redemption. I do think that this credit card provides the best earning rate for non-bonused spend, as the 1 SPG point earned per dollar spent is worth more than any other point you’ll earn with another Canadian credit card. I don’t currently carry the card but I would divert all my everyday spend on this card if I did. I would value Starwood points at a minimum of 2 cents, so the signup bonus is worth at least $280 after subtracting the annual fee. With AMEX applications, I would wait at least three months after applying for a card before applying for another one. You cannot apply for a card type you already own. The offer doesn’t have a stated ending date, but generally these limited-time offers will change at the beginning of the month or the end of the month. I’m guessing this offer will last for a few weeks. The other benefits of the card which maybe valuable is SPG Gold status after $30,000 in spending and free weekend night award for Category 1-4 hotels after $40,000 of spending. 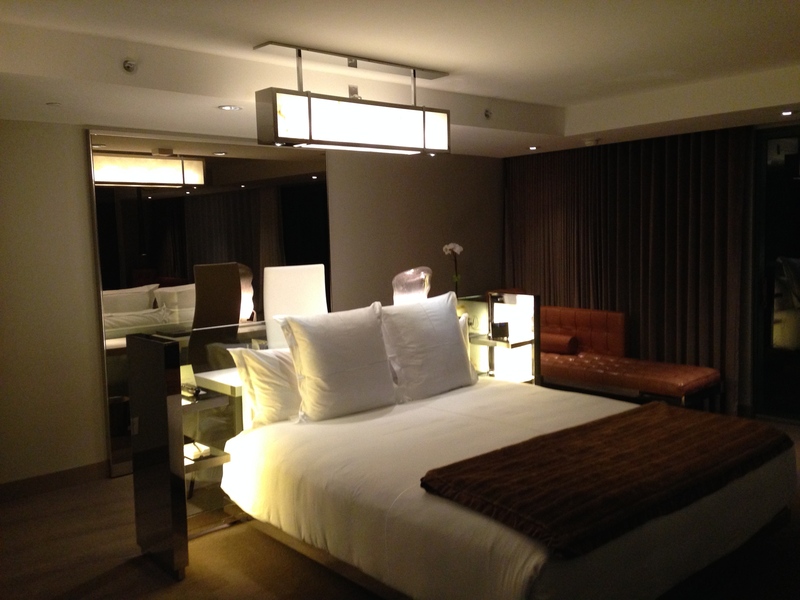 SPG Gold is a decent mid-tier status and will get you late check-out, room upgrades, and increased points earnings. However, if you cannot generate $30,000 dollars in spend, you are able to get it just by holding the American Express Platinum Card (Canada) which comes with a 60,000 point signup bonus. I currently hold this card and it is the card that offers, in my opinion, the best overall travel benefits. I’ve written a review of the card as well as a post on whether it’s worth carrying in your wallet. You can apply for the Starwood American Express here and the Starwood Business American Express here.